Today (September 9) it was announced that Australia has agreed to resettle 12,000 refugees from the Syria-Iraq conflict. One of STARTTS' most ambitious community development projects to date, Little Baghdad, has been presented in Fairfield to great acclaim since it launched in June. 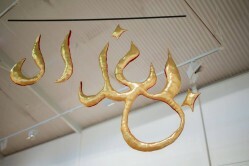 The third and final instalment of the project, 1001 Nights in Fairfield, is currently showing at the Fairfield City Museum and Gallery until 16 November 2015. STARTTS is part of the FASSTT network and endorses this statement of concern about the Australian Border Force Act 2015. 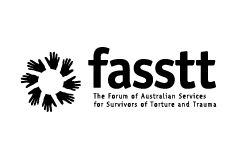 The Forum of Australian Services for Survivors of Torture and Trauma (FASSTT) expresses its profound concern that the Australian Border Force Act 2015 has created a serious criminal offence for people providing services to the Department of Immigration and Border Protection (DIBP) to publicly disclose information about damaging effects of government policy on individuals in detention and other asylum seekers.